Rated Line Pull: 9,000 lbs. Powerful winch with high line speed. Auto anything provided an excellent price using the online chat and it was at my door in three days. It came expertly attached and protected on a pallet which is the only way to ship one to avoid damage. Great job. I'm very pleased with Autoanything in how they have price matched the Warn XD9000i. I installed the winch within two hours on a Rugged Ridge front bumper. I'm really satisfied with the appearance of the Warn winch. I still have not had the opportunity to use it but have no doubts it will perform excellent. Looks great, Fits great, Works great and at a great price! I am always involved with muddy dirt roads and alot of kaolin mines. Our operation invovles mining into the ground 50 to 100 feet and the exposed water table and the koalin is hard to drive through. I was going to turn on one of the many pumps in the hole to control the water and realized when i got back in the truck my tires were not visible. The tire size on my truck are 32.5x11.5 BFG mud terrain, well i hook my winch up to a D9 dozer and pulled my truck out of the hole without using the dozer. I only used the dozer as a counterweight, I would definately offer this size winch to anyone who encounters alot of mud and sand because the winch itself is amazing! 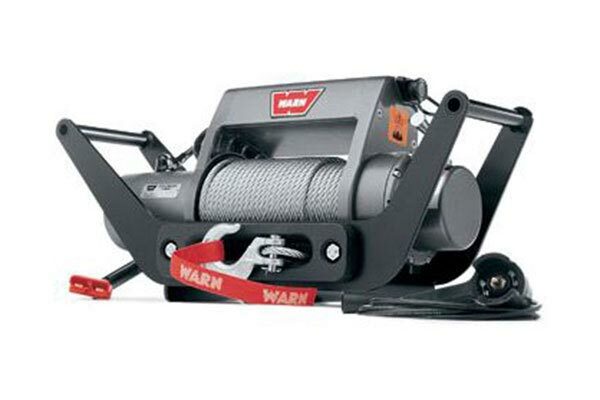 I have tried other winches and of those I bought(and sold)none have come close to the dependability and strength of Warn. Very straight forward install. Have not had to use it for a recovery yet but the operation is simple and it will come in handy someday. Winch works and looks great. It was easy to install on the Warn Crawler bumper I have on my 2000 TJ. 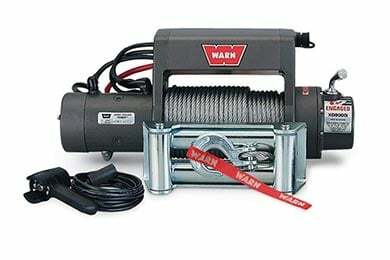 Great winch at a great price! You guys and gals rock! 1st class service all around with lightning fast shipping! 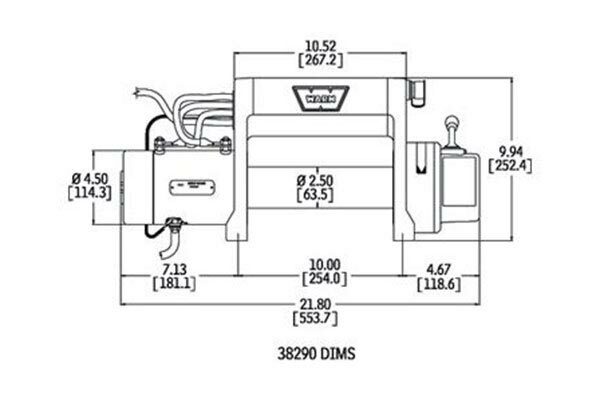 Reference # 752-906-611 © 2000-2019 AutoAnything, Inc.